Adjustable from 32" to 36"
One million volt stun gun, supportive walking cane and flash light combo. Steady yourself, light your way and be ready to protect yourself if needed! 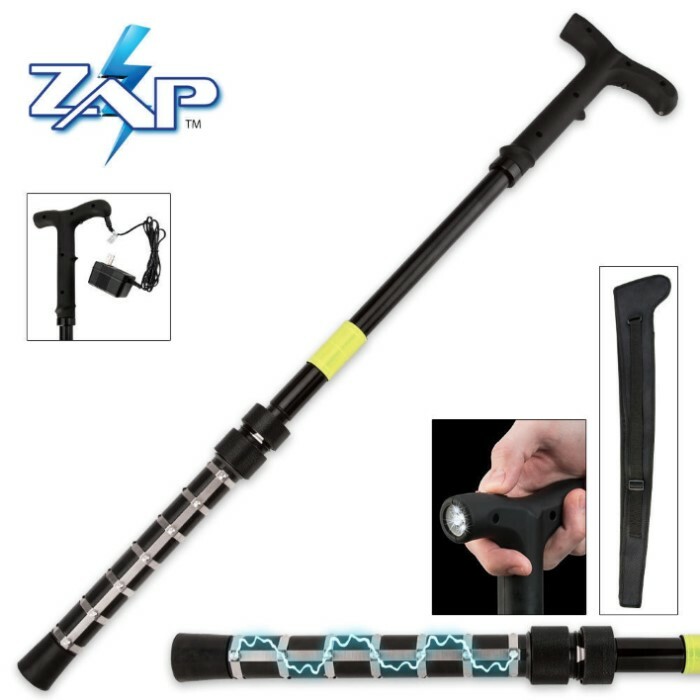 This Stun Cane features an adjustable height walking cane, an ultra-bright LED flashlight and a stun gun with an unheard of 1-million volt charge that will knock down any attacker or aggressive animal. Hidden in plain sight, they'll think it is just a cane until it is too late! It is even rechargeable and includes a wall charger and carrying case. Response: We apologize this happened, we have checked our current stock and do not see this issue. If you contact customer service at 866-246-7164 we will be more than happy to refund you or replace the item for you. This was purchased to be gifted to some friends (female) that work late at nite, we haven't had any opportunity to use, but feel much safer. It won't charge..... so what good is it ! i am very disappointed with this product.I only had it for a few months and the charger does not work. Now I have a useless piece of crap because it does not charge up. After being attacked on three separate occasions by the neighbourâ€™s dogs while walking my own I figured it was time to send a bigger message to the dogs and there owner. A simple Zap from the cane without ever using was enough. He keeps his dogs in check and they don't want any part of that zapping noise. The sound alone is enough to ward off an attacker, but if not am sure this would drop any man or beast long enough to get away. 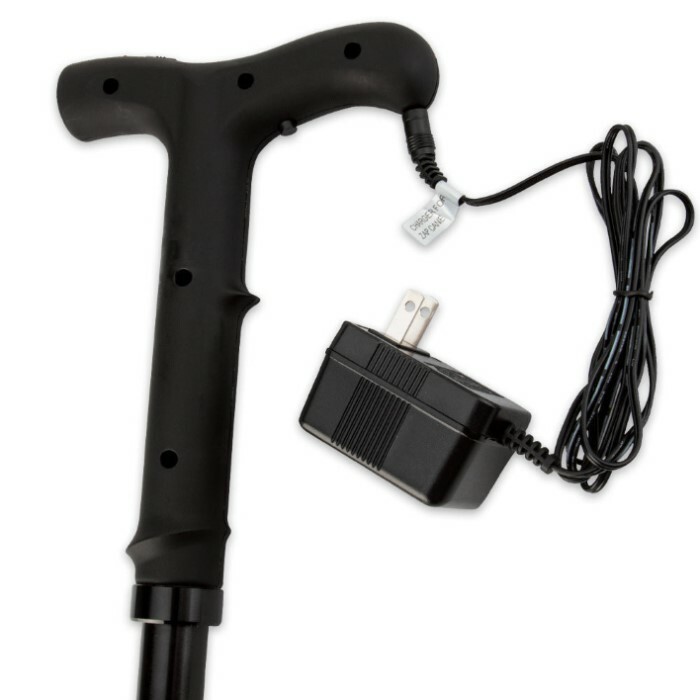 This cane is a fantastic posession: cane, tool, flash light, defense weapon, etc. Great deterrent! I mainly use when walking and to get the mail as we're in a rural area with loose dogs. 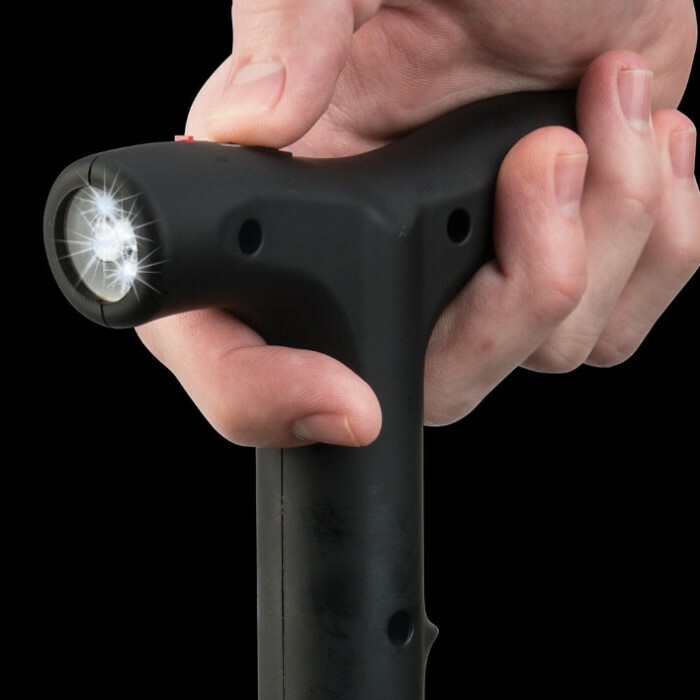 I'm torn between ordering the mag light zapper or the smaller handheld and keeping it in the car when for when I have to visit the City. There are loose dogs of a different sort there! My sister bought this cane for me. I love the feeLing I get of knowing I'm protected when I'm carrying this cane. I feel very safe with it, knowing what it could do when needed. I'd buy it for anyone handicapped. this is the zappo zapp of all self defense cane thank u budk. 420 All Day.